One design, cleanly and exactly replicated on every vehicle. Vehicle graphics that put your brand on the road. 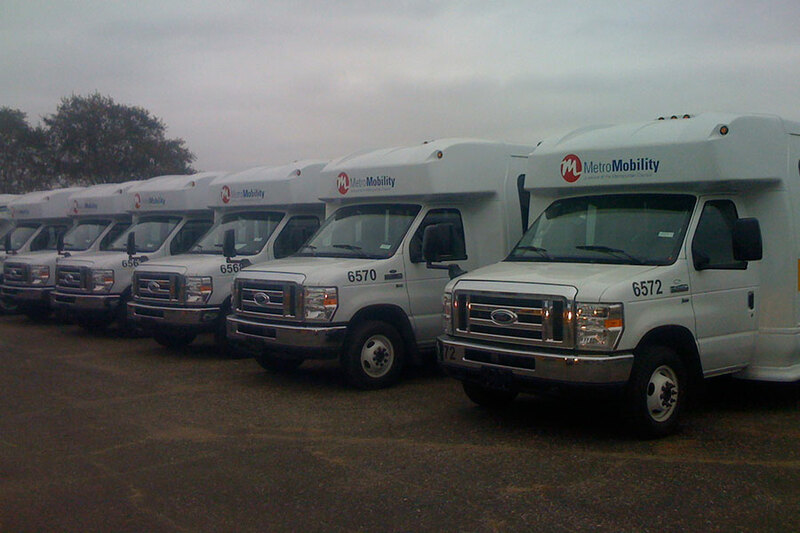 With attention-grabbing fleet branding, your company name will be more visible than ever. Whether you have the design for your fl­eet of vehicles or you want our full range of design and application services, April Graphics in Maple Grove can meet your needs. Since our founding in 1980, we’ve helped companies from many different industries build awareness through custom designed graphics for company cars and trucks of all shapes and sizes. Vehicle graphics are one of the most cost-effective forms of advertising available. Advertising is often measured by “impressions,” which refers to how many times your ad is viewed by the audience. Think about how much time your fleet spends on the road. How many people will be exposed to your brand simply because they’re driving or walking by one of your beautifully identified cars or trucks? That’s a lot of impressions made all across Twin Cities roadways and anywhere else you drive. Utilizing the latest technology and high quality materials, April Graphics’ in-house design department is able to conceptualize a brand new design or take an existing design and roll it out to an entire ­fleet of vehicles. We’ll tailor our services to meet your specific needs, which means no templated or cookie-cutter designs. To stand out in the crowded Minneapolis-St. Paul market, your fleet needs a unique look that’s all your own, and that’s what we will provide. Our Maple Grove team offers free quotes on fleet branding projects, along with all of our other services. To talk to a member of our team, give us a call at 763-425-7446, or fill out the contact form on the right hand side of this page. We serve customers throughout the Twin Cities area.